If you’ve been looking for a new home this spring, you know that homes are selling fast. As the economy improves and inventory levels drop, many home buyers are finding it difficult to find exactly what they want. The solution? Build exactly what you want. 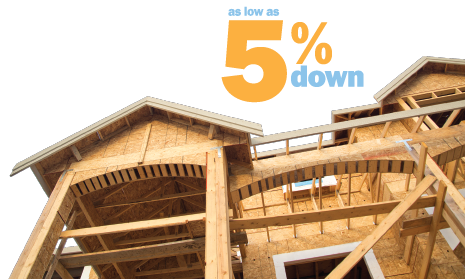 Get a LMCU new construction mortgage to get started on that dream home. Our one-time closing combines construction financing with your end home loan, meaning one low rate while saving on closing costs. Start dreaming up your perfect home! Stop by any branch, call us at (844) 890-9767 or visit us online at LMCU.org to get started today.